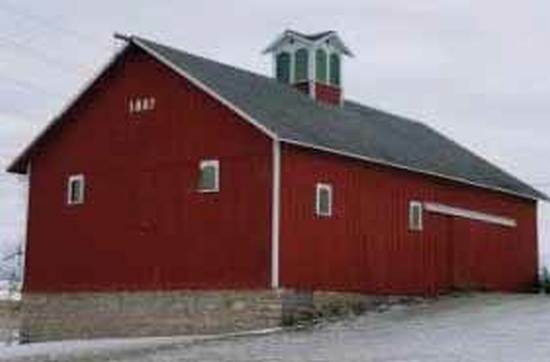 Ten historic barns in western Iowa were highlighted during a two-day Iowa Barn Foundation tour from 8:30 am to 5:30 pm on both days. (Scroll down to see a Report of this Tour). 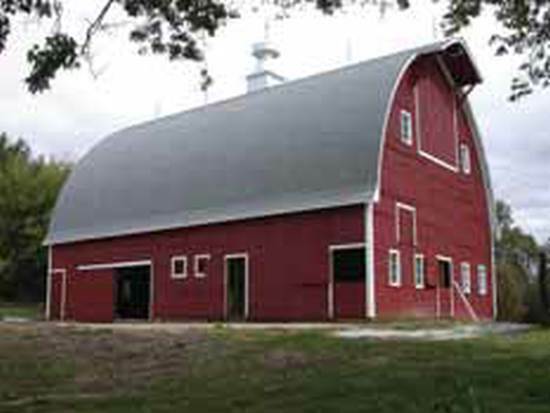 The annual June Iowa Barn Foundation area tours highlight barns in different counties each year. The 2018 June Barn Tour (Western Iowa) is self-guided, free and open to the public, sponsored by the Iowa Barn Foundation. The “social” hour for this tour was held Saturday noon at Twisted Tail, a renowned barbecue restaurant in Beebeetown in the beautiful Loess Hills. On Saturday, a lunch was available. For reservations for the lunch, please send a check for $11.50 to the Iowa Barn Foundation, 17590 730th Avenue, Zearing IA 50278. 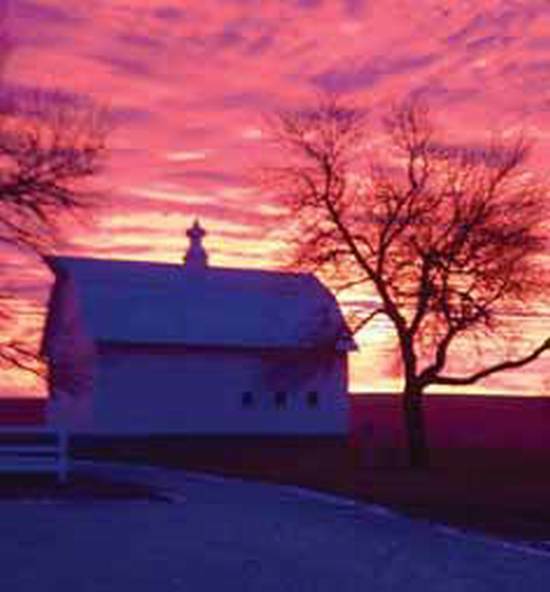 The Iowa Barn Foundation, founded in 1997, is a non-profit organization dedicated to educating folks about Iowa's barns and encouraging their preservation. 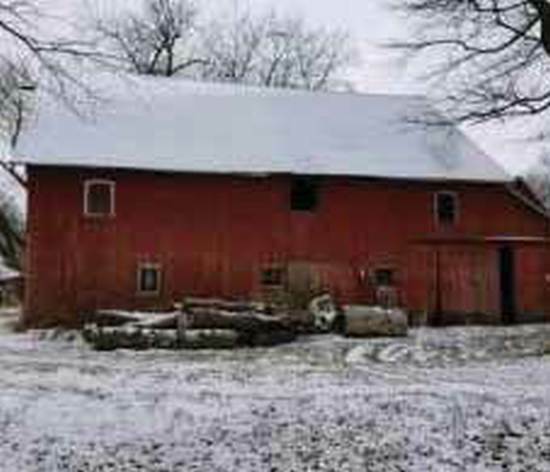 The foundation gives grants to private property owners for the restoration of their barns. 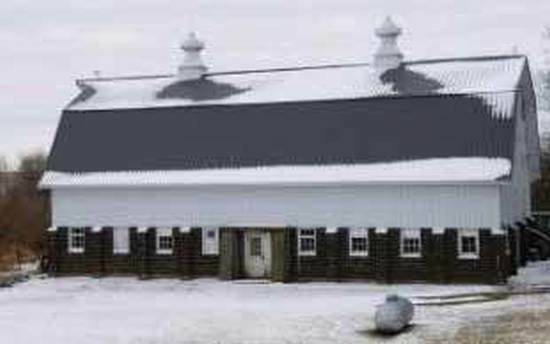 These barns are included on the organization's annual all-state tour in September. The spring tour emphasizes barns in different areas of the state. The list of barns on the western Iowa tour, with directions, is below. The Cass County Historical Museum, Main Street, Griswold, which has a collection of about 80 model barns, will be opened that day. Some information about the Cass County Historical Museum, as a PDF. Coordinating the western Iowa tour area are Evan Summy, Linda and Dennis Heflin, Sandra Kneisel, and Roxanne Mehlisch. Borkowski barn is a 48x40 foot gambrel roof barn and was located two miles from their farmstead and scheduled to be burned in 2007 when Dave and Pam Borkowski decided to come to its rescue. They coordinated moving it over six miles to their home and they have plans to complete it. Directions: Located on 2136 Road M37, 1.75 miles north of Irwin on the west side of the road. 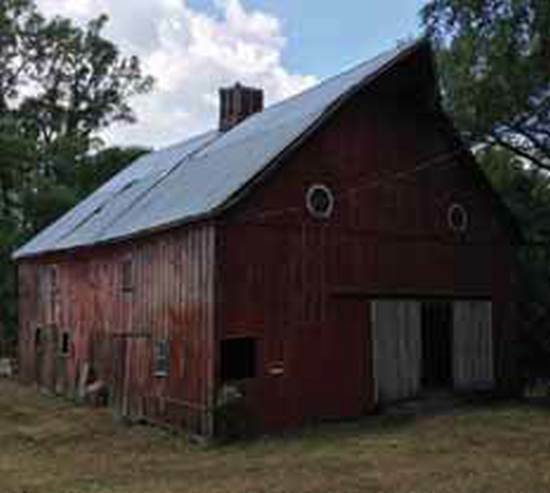 The Haas barns are two barns at this location of historical interest. The rectangular barn on the left was used as a horse barn and initially sat 100 feet south of its present location. When Highway 44 was reconstructed, the barn was moved north to allow needed earth work. 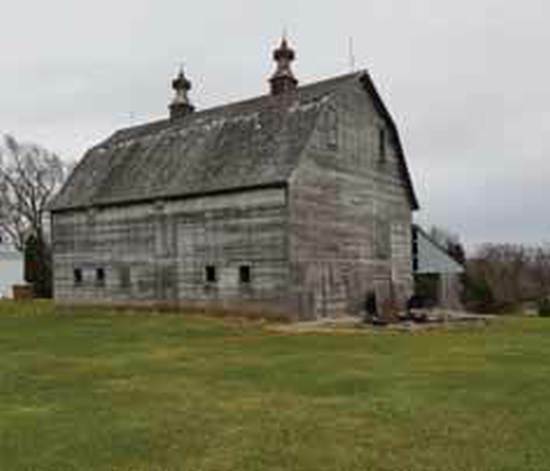 The barn on the right has an equidistant cross-gabled, entruncated roof line and is 36 feet square. The raftering comes to a pyramidal point in the center. The barn was built around 1908 and is framed barn with eight inch drop siding. It is owned by June Haas and has been in the family for generations. Directions: Located on the northwest corner of the intersection of highways 44 and 173 in Kimballton (405 North Main Street) with access gained off of Bluebird Avenue. Johnson Barn was built in 1925 by Nicoli Carstensen, Kevin Johnson’s uncle. This family barn features brick block sidewalls and two cupolas. It was initially used for horses and mules. In the following years, Levi Johnson and later Folmer Johnson used the barn for their purebred Shorthorn cattle operations. Today the barn serves as a hub for Erik Johnson’s produce operation. It was recently featured in the Iowa Farm News during the fall of 2017. Directions: 336 Highway 173, Atlantic (Shelby County). Located three miles south of Elk Horn on the west side of the highway. 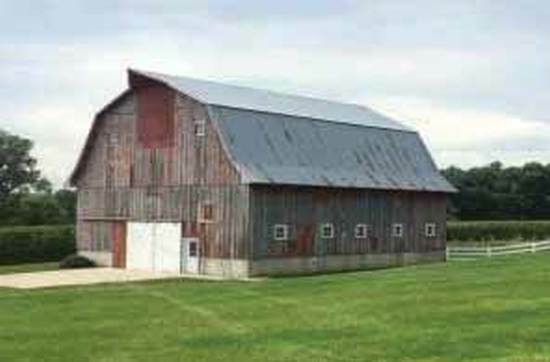 Built around 1868, the Nelson barn is mortised and pegged and measures 72x42 feet. The 42-foot cross timbers are each a continuous length and were brought in by wagon across Iowa from Davenport. The barn became part of the Harrisdale Stop on the Atlantic Northern-Southern Railway, which ran from Kimballton to Villisca. A small stockyard was added as a gathering point for livestock, grain, and supplies shipments. Owners Bob and Francis Nelson purchased the property 60 years ago where they began their farming operation. Directions: 60293 Dallas Road, Atlantic (Cass County). Located 3 miles south of exit 54 (I-80) and 1.25 miles east of highway 173 on dead end road. Rechtenbach barn is a gabled roof barn, built in 1887 and features a stone basement and a unique cross-gabled cupola. It is a bank barn and has horse hoof prints embedded in the upper level floor. The barn is owned by Leo Rechtenbach. Directions: 50517 Highway 83, Walnut (West Pottawattamie County). It is located one mile south of Walnut on the west side of the highway. The William and Linda Pelzer Barn has been in the family for 100 years. Stalls, bunks, mangers, and stanchions remain. Directions: 69828 560th Street, Griswold. It is one mile east of Griswold on Tucson Road (Highway 92) and 0.75 miles south on 560. This is a "drive-by " barn. Just view from the road. The George Peterson Barn is a 30x50 foot timber frame barn and was for sale recently when Tab Daly saw it. He did not want to see it torn down, so he bought it and is slowly renovating it so folks can enjoy it for years to come. The interesting barn was built in 1916 by Jacksonville carpenters with Danish backgrounds. Said Daly, "Once a barn is torn down, a person can no longer walk inside to the hay loft. It's hard to imagine carpenters building it or farmers using it if it's no longer there." Directions: 2135 100th Street, Harlan, Iowa. Take Highway 44 east of Harlan about nine miles until it curves south. At that point turn left into Jacksonville (M56) and go one mile north to 100th Street. Turn left and go west 0.25 mile. Barn is on the right. 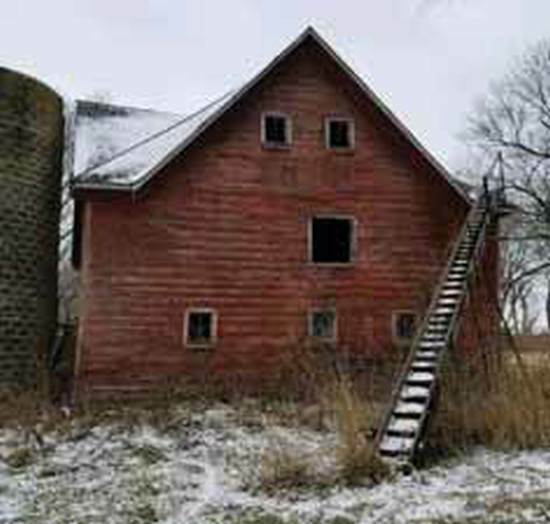 The Finken land has been in family since 1892; barn was built in 1917. The roof has laminated rafters which were raised into place with gin pole and horses. Each rafter is five boards thick bolted together and cut in curved shape. Barn was beautifully restored a few years ago by Shirley Finken, who was determined to bring the threatened barn back to life. Directions: 3005 335th Street, Logan (Harrison County). Take I-80 west to I-680. Proceed west to Exit 21 which is L34 (Beebeetown). Turn east (F66) for 1.5 miles. The Peters barn was built by Theodore Neer. Hay trolley and ropes are operational. Stalls remain. Directions: 57899 Tucson Road (Hwy 92), Griswold. Three miles east of Griswold on south side. Mini report on western Iowa area barn tour on June 22 and 23, 2018. Submitted by a Tour visitor, June 25, 2018. Since the western Iowa area tour this weekend was interestingly successful, and beautiful, it might be appropriate to pass on some notes. The board decided a year ago to have an area western tour after Sandy Knisel, Griswold, complained that IBF never had tours of western Iowa barns. Roxanne Mehlish, offered to chair the tour and had the help of Sandy, Evan Summy, Council Bluffs, Dennis and Linda Heflin, Harlan..There were 10 barns on tour. The tour was covered well by Our Iowa, (thank you, Roy) and Omaha and Council Bluffs papers. The weather was beyond perfect. Corn was touching the clouds. Farmsteads were neat and proud. The terrain is different from that in eastern Iowa with seemingly fewer and larger farmsteads. There were wonderful barns throughout the area. Some 70 folks devoted to barns attended lunch at the Twisted Tail in Beebeetown. Some of the barns had 100 visitors..There were distances between barns so this is noteworthy. There was interest in the Danish barn Tab Daly bought to restore. He visited with folks all day. Sandy arranged for the Griswold Museum too be open so folks could see their amazing collection of model barns. The artist, Wayner Kerchoff, Atlantic, was there to talk about the 80 model barns it took him 33 years to create. Everyone was very complimentary of the Iowa Barn Foundation. We had old and new members at the lunch and on tour. There were many first time visitors from that area...and Omaha. I think Iowa Barn Foundation can be very proud of this event focusing on western Iowa. © 2018-2019 Iowa Barn Foundation. All rights reserved. This material may not be published, broadcast, rewritten, or redistributed without express written permission from the Iowa Barn Foundation. Updated 07-19-18, 01-02-19.